*If you select IC Diamond Tube Only option, we will not apply it on GPU or CPU. But you will receive a tube of IC Diamond thermal compound and the original Manufacturer's Thermal Compound is still provided. 1. One hard drive: No RAID function if you choose one hard drive only. 2. Two hard drives: You can choose RAID 0, RAID 1, or Disable if you don't want any RAID. Please choose the same size of hard drives if you want to use RAID. You can choose RAID 0 or RAID 5 for all 3 hard drives. RAID 0 or RAID 1 for the first 2 hard drives and no RAID for the 3rd hard drive. *The hard drive size will be changed in the OS if you choose RAID. 1. For RAID 0, The system will show one 300GB hard drive. 2. For RAID 1: Because RAID 1 can only handle 2 hard drives, so you can only use RAID 1 for the first 2 hard drives and leave the 3rd hard drive independently. The system will show one 100GB hard drive for the RAID 1 and one 100GB normal hard drive. 3. For RAID 5: The system will show one 200GB hard drive. *The read/write speed posted here are claimed by the manufacturer. The actual speed may be varied. Note: For Barebone Series, you need to purchase the hard drive or SSD if you want the System Recovery USB drive option. Note: for Windows 2016, you need to go to http://office.microsoft.com/setup to download the software and install by yourself. For Office 2016, please go to: http://office.microsoft.com/setup , download and install it by yourself. You may purchase extended warranty (parts and labor), depot service, from 1 to 2 years additional to the original 1 year warranty. Extended warranty does not cover optical drive (CD/DVD), additional software, hardware or accessories besides system base unit, such as battery, external floppy drive etc. Accidental Damage from Handling Coverage (ADH Coverage): If purchased, ADH Coverage augments Your Service Agreement by providing protection against sudden and unforeseen accidental damage to Your Product, provided such damage was in the course of regular use of the Product by You, subject to the exclusions below. ADH Coverage does not provide protection against wear and tear, theft, mysterious disappearance, misplacement, viruses, reckless, abusive, willful or intentional conduct associated with handling and use of the Product, cosmetic damage and/or other damage that does not affect unit functionality, or damage caused during shipment between You and Our service providers. If protective items such as covers, carrying cases or pouches, etc. were provided or made available for use with Your Product, it is expected that You will continually use these accessories for protection against damage to Your Product. "Abuse" is defined as Your intentional non-utilization of protective items during the use of Your Product, or Your treatment of the Product(s) in a harmful, injurious or offensive manner that may result in its damage. Any resultant damage from this type of treatment is NOT covered by ADH Coverage. - LCD screen is covered. The Extended Warranty covers up to $3000 maximum value. 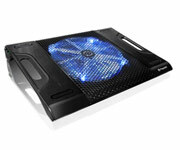 - Full-Configured Warranty: Covers LCD, Keyboard, Motherboard, CPU, Hard Drive and Optical Drive. ADH: Accidental Damage from Handling. (Extended Warranty covers value up to $3000, and for non-Commercial Use only). 1. Installation is free. We will install all the parts you selected from the Product Configuration below, free of charge. 2. If you want to install the parts yourself, just choose "Do Not Install", we will ship out the barebone and the parts you selected without installation. Please note that the barebone consists of LCD, motherboard and system shell case. These three parts cannot be seperated. 3. If you want to purchase the barebone only, you can leave the "Product Configuration" part as it is. 1. Regular, we will ship out your order within 3-5 days after we receive your order. 2. Rush Order will be shipped out within 3 business days after we receive your order. We will contact you if there is any delay for the rush order and the rush order fee will be refunded back to you. **The content is subject to change without notice. 03/25/2019 Clevo New Models, NH55EDQ, NH58EDQ and NH70EDQ are available now! 03/11/2019 Clevo New Model P950EF is available now! 03/04/2019 Clevo New Model PB71EF-G, 17.3" LCD, nVidia RTX 2070 Video Card, RGB per Key Full Color Keyboard Laptop is available Now! Copyright © 1995-2019 R&J Technology. Powered by R&J Technology, Inc.